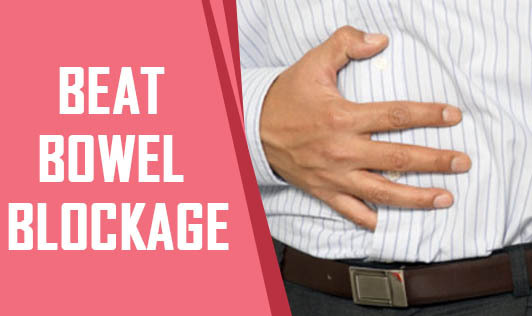 Constipation is defined as an infrequent bowel movement usually accompanied by dry and hard stools. Simple lifestyle changes, such as getting more exercise, drinking more fluids and eating a high-fiber diet, can go a long way toward alleviating constipation. If you are afflicted with this problem, here are some ways that you may help yourself to get rid of it. Choose a well balanced diet with lot of high-fiber foods, including fruits, vegetables, greens, whole-grain cereals, legumes and nuts. Add fiber to your diet gradually to prevent gas and bloating. Eat small frequent meals as they are easier to digest and may benefit gastro-intestinal health more than larger meals. Drink plenty of water, at least 2 liters a day and other liquids such as fruit juices, soups etc. to stimulate the bowels. Limit caffeine intake and alcohol, which may worsen the symptoms of constipation by causing dehydration. Set aside time everyday and train your digestive system to be able to defecate in certain hours such as early morning or after a meal. Do not ignore the desire to defecate. Answer nature's call to empty your bowel as soon as possible. Engage in regular physical exercise, such as walking, swimming, etc. that help to stimulate the intestinal function. Consult your doctor before taking laxatives. Taking laxatives on your own for a period of time will get your digestive system used to them. This will make it difficult to have bowel movements naturally, when you stop taking the pills. So whenever you have a significant or prolonged change in your bowel habits, check with your doctor!